My evenings are certainly becoming exciting these days – I guess not being stuck to the computer in the evenings and accepting invitations is working out to be very interesting…. it’s time I started learning from strong individuals who make their own decisions and are fully dedicated to driving their organisations to success without any influences from others….and Roberto Coin’s strong creative mind is as good as one can get. A friend who knows my taste in jewellery thought I would love Italian master jewellery designer Roberto Coin and his bespoke designs – she knew my snake watch in pearl white broke despite being a limited edition piece so she hoped seeing reptile inspired jewellery instead would wow me and perhaps convert me to Roberto Coin. It did and now I wish I had spent the dough on Roberto Coin jewellery rather than the ill-fated watch which I hope one day I can wear again. Anyway, Roberto and his sweet gorgeous wife were in Dubai to launch the exquisite one-of-a-kind jewellery parure to mark the opening of his new boutique in the Mall of the Emirates. The signature set, which consists of a matched collar, bracelet, earrings and ring, was unveiled during a preview which I was super lucky to sight on the first night and in the presence of Roberto who is sweetness and light personified. The special parure, which is part of the Mauresque Collection, is made up of a 3.21 ct collar set with 60 individual diamonds, a 6 ct bracelet with 110 stones, earrings set with a total of 22 stones and a 1.03 ct ring studded with a total of 20 diamonds. 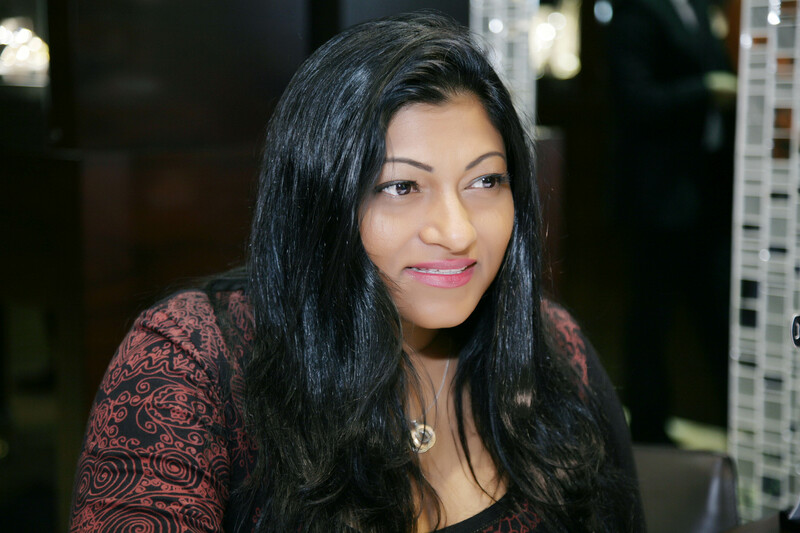 The four pieces will be on display in the new boutique, which was officially opened by Roberto Coin, together with the Italian Ambassador to the UAE – H.E. Dr. Giorgio Starace, Anan Fakhreddin, CEO of Damas Jewellery and Raj Sahai among other senior members of Damas management. Roberto’s jewellery is revered around the world and is known for producing the most beautiful, intricately crafted artisan pieces. The company was born in 1977 in the Italian city of Vicenza, which is famous for its fine jewellery, initially manufacturing on behalf of some of the world’s most prestigious jewellers, before Roberto Coin decided to relaunch as a brand in 1996. Not many people know this but Roberto has an inborn curiosity and desire to know the world beyond his own borders which drove him to attend a hotel management school. The hotel atmosphere, crossroad par excellence of cultures and people, fascinated him. After a first diploma at Montecatini he went on to complete his apprenticeship in Switzerland, where he obtained the Hotel Management Diploma in Lausanne. At the age of 18 he moved to Guernsey, a British Crown Dependency, where at the age of 24 he already owned The Duke of Richmond, an old renowned hotel in St. Peter Port, the island’s capital. During his career, he came in contact with some of the main figures of the international jet set, each of whom left behind an impression, a style, a lesson. Some of them left a deep impression, like Earl Mountbatten of Burma, who taught him by example, the value of social responsibility and a sense of responsibility for those less fortunate. At 32 Roberto decided to return to Italy and turn a new page in his life. He brought with him a wealth of experience matured in the spheres of PR, style and the pursuit of quality. He had developed a great sensitivity for “beauty”, in the objective sense of the term, so he decided to turn to a new entrepreneurial adventure. His selection fell on the world of fashion, particularly on jewellery, accessories par excellence. He approached this culture with a great will to learn, comparing himself with the major international entrepreneurs, who enabled him to get to know the thousand facets of the sector. 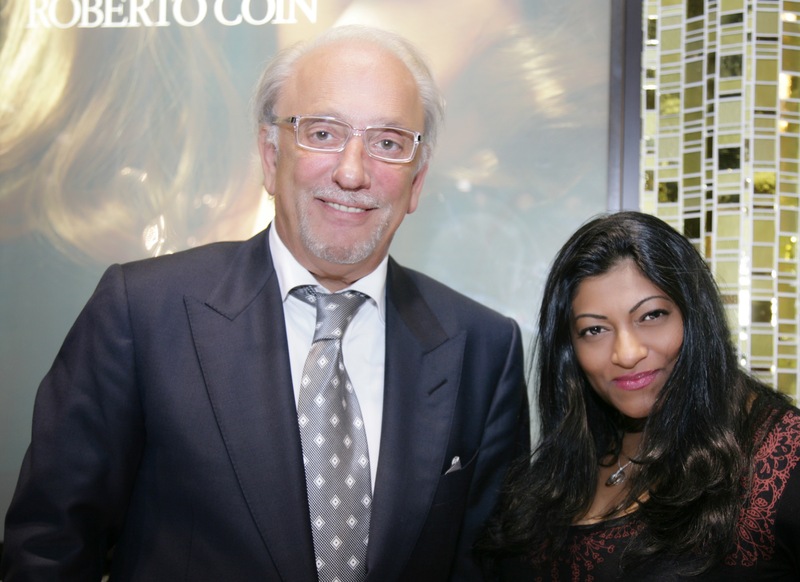 Soon Roberto Coin decided to start a production line of his own, which he offered to major jewellery brands. In 1996 he created a company name bearing his own name with his creativity manifesting itself in every imaginable form and together with concepts of uniqueness, excellence and social responsibility, the brand became internationally recognized. Roberto signs every single jewel with a small ruby set on the inside. A special caring detail reserved to the woman who will wear his jewels, in observance of an ancient belief, according to which the gem has the power of promoting a long life, blessed with health and happiness. Beyond the success of his creations, Roberto is also a member of the Board of Directors of the WDC, which collaborated with UN to create the Kimberly Process. He is also a member of the Diamond Bourse of Dubai. Roberto lives in Vicenza now. He is married to Pilar Cabo, who assists him in managing the company’s marketing division. Together they have a son, Kevin, who is busy studying, while Roberto’s adult children, Carlo and Paola, are involved in the family business. You can see his strength lies both in his creativity, his family and friends….people can learn a lot from his example. The time spent with Roberto was short but very insightful. We talked about technology, phones and how we should switch off to relax for periods – I’m definitely following his gem about taking time out, letting go and being with like-minded people. I’ve seen people going downhill because of the company they keep with no desire to do great things intellectually – We should always strive to be influenced by contemporary thinkers who are vibrant and energetic. That’s why we need more creative and inspirational corporate leaders and role models like Roberto Coin in the world to make it an interesting and happy place to live in.